Zero + Maria Cornejo has arrived and is available at Santa Fe Dry Goods with their latest Pre-Fall 2017 collection. 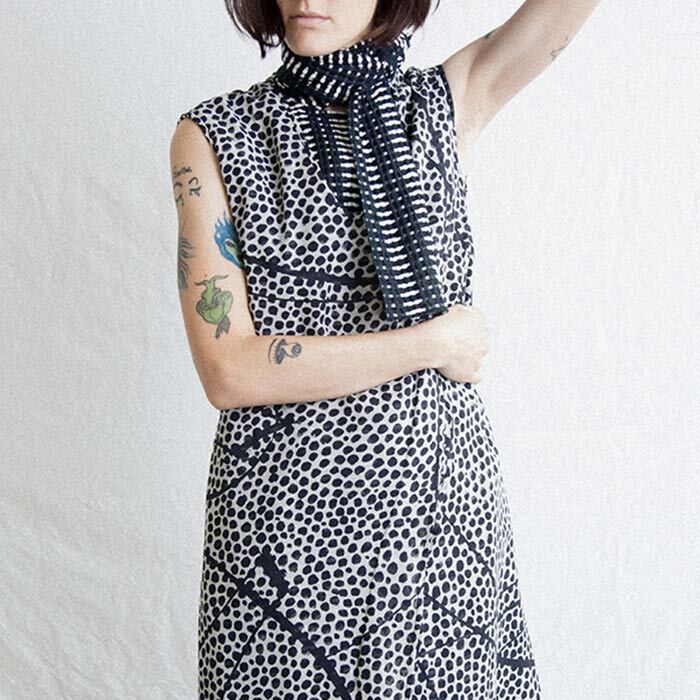 This collection’s graphics were provided by friend and artist Elliott Puckette, which gave the black and white silk top and dress the dots and curves pattern. Maria Cornejo also uses textures such as curved lines of fringe along a black shrug jacket. Zero + Maria Cornejo‘s silhouettes are loose and comfortable, allowing pieces to flatter and be worn by many women.